Business View Magazine interviews Mark LeDoux, CEO of Natural Alternatives International, Inc., as part of our focus on the natural supplements sector. Headquartered in Carlsbad, California, and with clients in 39 countries, Natural Alternatives International, Inc. (NAI) engages in formulating, manufacturing, and marketing nutritional supplements for markets in the United States and internationally. 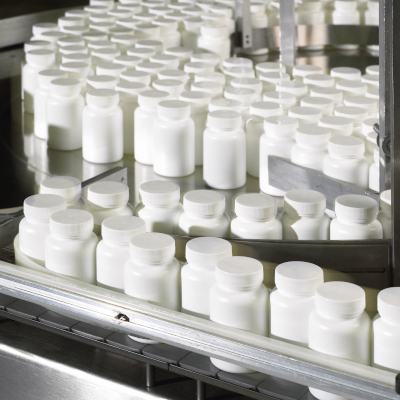 The company offers private-label contract manufacturing services to companies that market and distribute vitamins, minerals, herbal products, and other nutritional supplements. It also provides strategic partnering services, such as customized product formulation, clinical studies, marketing support, international regulatory and label law compliance, international product registration, packaging in multiple formats, labeling design, scientific research, customer-specific nutritional product formulation, product testing and evaluation, packaging and delivery system design, and regulatory review. 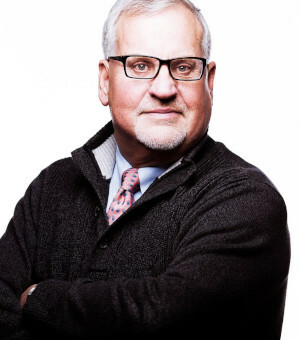 Recently, Business View Magazine spoke with Natural Alternatives International’s Founder and CEO, Mark LeDoux, and engaged in a wide-ranging discussion about his company and the natural products sector, in general. The following is an edited transcript of that conversation. BVM: Can you talk about the genesis and evolution of Natural Alternatives International? LeDoux: “I started my company in my garage, back in 1980. My sole reason for starting it was because I recognized that modern medicine was running into a buzz saw with pharmaceutical compounds that were being synthesized and were causing unnecessary side effects in people and creating, sometimes, more problems than benefits. “And so, I made it a personal mission to start identifying what are the natural alternatives to dangerous drugs that might help the body heal itself; not to replace medicine, but to allow the human immune system to operate more efficiently by giving the necessary nutrients to the human body so that this miraculous thing could address whatever issues it needed to in order to either repair itself or to improve health. “Obviously, this doesn’t replace medical intervention when people have significant diseases and/or broken bones, or heart attacks, or things of that nature, which require immediate attention. I was really focusing on those areas where people have consistent problems – whether it’s allergies, difficulty sleeping, or joint discomfort or pain that comes with repetitive motion or too much exercise or too much laborious work, and things of that nature. “The first thing that we looked at was: What can you give the human body to help itself reduce the histamine reaction to allergies? So, we did a lot of work analyzing what our forebears did. What did the American Indians utilize if they ended up with a cold or flu? You start looking at the herbal pharmacopeia and you see there are all kinds of different herbals and tinctures that they successfully deployed. And then we looked at chemistry – the presence of Vitamin C, for example, that might help in the uptake of these compounds. “This is not inconsistent with what pharma has done in years past – they looked at what’s in nature. That’s how aspirin came about. Aspirin has been considered the ‘wonder drug’ of modern life. Salicylic acid, which is the active compound of aspirin, was extracted from the bark of the white willow tree, which was used as a tea or chewed on by the North American Indians, particularly in the northeast, and it was very effective. And so, a German scientist by the name of Friedrich Bayer was able to isolate the compound and, voila, you end up with aspirin. “This is true of multiple indications. So, I really started with a noble focus: to try and identify what’s in nature that we could either encapsulate, or compress into a tablet and give to people to support their own body’s systems that would not do injury, but provide nutritional support for improving human health. BVM: What is the state of Natural Alternatives International, today? BVM: Can you talk about the company’s product lines – both your own and that of others? LeDoux: “Our emphasis has not been as much on our own product as it has been becoming a preferred contract supplier for major corporations, both domestic and international. So, most of our volumes, today, are making other people’s products to very exacting international standards of excellence. 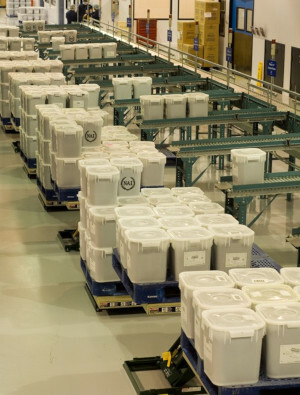 Our U.S. facilities have multiple certifications, not only from U.S. entities, but also some very difficult certifications to achieve and maintain from outfits like the Therapeutic Goods Administration of Australia, which opens access to about 48 different international markets on a preferential basis. BVM: How does Natural Alternatives International differentiate itself from its competitors? LeDoux: “For starters, we reinvest our profits in our company in terms of capital equipment and in human resources. We also put our money into primary research. We’re a debt-free company with almost $30 million in cash and all the tangible assets we have, which are probably north of $60 or 70 million, are all paid for. And so, recognizing that labor is a significant component of our competitors’ profit and loss statements, we focus on high-speed equipment that is largely automated that will allow us to do extraordinary throughput on a consistent, quality basis, keeping our direct labor costs at between five and six percent of our finished product cost – which is extraordinary. “We also believe that ‘Made in Switzerland’ and ‘Made in America’ has tremendous caché for many international markets, and that’s been borne out by seeing the rapid growth that we’ve experienced in key markets around the world. Consumers are very concerned about product efficacy and safety, and they gravitate to companies like Natural Alternatives International because of our exemplary record of product integrity, not to mention our multiple licensures, independent testing, and independent validation of our efforts. We’re not always the cheapest (and we take great pride in not being the cheapest) but we have the most value-added and properly-priced products in the marketplace. “So, we think that there’s intrinsic value in that and, if you’re on the other side of the equation, and you’re a company with a brand, and you’d like to protect its integrity, who would you prefer to do business with – a start-up firm, a firm that’s been leveraged by private equity with significant debt servicing requirements, or a business with a company that’s almost 40 years old, is debt-free, and with adequate cash in the bank to make the appropriate investments in either capital equipment or research in order to bring even additional value to your product? “I think the proof is in the pudding. People are coming here because they want to sleep well at night and they don’t want to second guess whether their supplier is playing games or not. And that doesn’t happen here, so that’s a positive thing. BVM: What are some of the most pressing and current issues in the natural products sector? LeDoux: “I’ve been privileged to serve as the Chairman of the Board of the Natural Products Association (NPA), which is over 80 years old, and represents the natural products industry in the United States, of which there are thousands and thousands of members. I was just at the White House with several colleagues, and seated at the table with me were representatives of multi-billion dollar corporations. The concerns that we expressed at the White House regarded the need to manage this situation of tariffs with China and others, more judiciously. There’s no question, if you’re going to take a hard look at how certain countries do their trade, that the United States has been taken advantage of. But to put blanket tariffs on single-source suppliers without looking at how we stand up suppliers that can do the same product in the United States, I think is just a wee bit short-sighted. There are other opportunities, I think, to pursue freer and fairer trade. But we’ll see what the administration comes back with; I’m hopeful that the Chinese and the U.S. government will sit down and work on something that truly is fair and balanced. So that’s a front-burner issue, because it is impacting the cost of goods for everyone. “There are some other front burner issues. We’ve been working very closely with the Food and Drug Administration to try and identify those products that are being sold that are illegal, per se, in the United States. The FDA has a tough job to do because it has to enforce all types of regulations across a panorama of foods and drugs. But we’re trying to get them more resources and get them focused on taking some low-hanging fruit out of the marketplace so that responsible companies can enter the fray with products that are made according to the good manufacturing practices that are on the books. BVM: What’s the long-term outlook for Natural Alternatives International? Le Doux: “I think the demographics are on our side and the science is on our side. We have an enormous cost for medical care in the United States, as well as places like Europe, which both have aging demographics; the same is very true for Japan. Then, you look at some of the younger marketplaces where demographics are the flip of what they are in North America. For example, if you look at Vietnam, Malaysia, Indonesia, Australia – you have a younger demographic. And all these people are starting to understand the real value of natural products in their daily lives. So, I think there will be significantly larger markets. I also think that our company will be two or three times its size within five years, assuming we can grow organically as well as through judicious acquisitions. “We like the healthcare practitioner space. We think that area is ripe for consolidation and growth. More and more people are looking for natural alternatives to drugs – even doctors are looking for that. Look at the non-judicious use of antibiotics – we’re running out of magic bullets. Somebody has a runny nose and their doctor gives them an antibiotic. That’s great, but these bugs are smarter than the antibiotics, so they’ll mutate into something that we don’t have an arsenal, currently, to address. So, we need to back up for a minute and realize that not everything has a magic bullet. Let’s try and nourish the human immune system with things that will actually create a better line of defense than overusing antibiotic therapies. BVM: Any final thoughts you’d like to leave with our readers? LeDoux: “We have a history, over the last 70 to 80 years in our country, of attacking symptoms versus attacking root causes and as the science evolves and companies like us and our colleagues make investments in the research, we’re going to start unlocking some of the mysteries of why things happen the way they do. As long as we maintain our heads about us and apply the scientific method, we’re going to be at the table with those seminal discussions that take place in Washington and elsewhere about what healthcare will look like 20 or 30 years from now. Are we part of the solution to explosive healthcare costs? I would humbly suggest, yes. “I also think that one of the reasons that people gravitate towards us is because the consumer is coming – not only in North America, but around the world. There’s been somewhat of a breach of trust that has taken place over the last several decades between companies that are saying, “Trust me, this is great,” and then the end result maybe being not so great. And the consumer, with access to the internet, access to information and research, is becoming much more knowledgeable, much more inquisitive, and justifiably skeptical. So, they’re doing their homework before they make purchase decisions. And it’s incumbent for us to continue to make those appropriate investments in answering the questions that consumers have: Is this product beneficial for me and my family? What will it do? How does it work? And how can you make sure that the sources from which you bring this product to market remain sustainable for the globe that we live on? 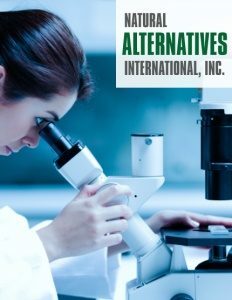 WHO: Natural Alternatives International, Inc.